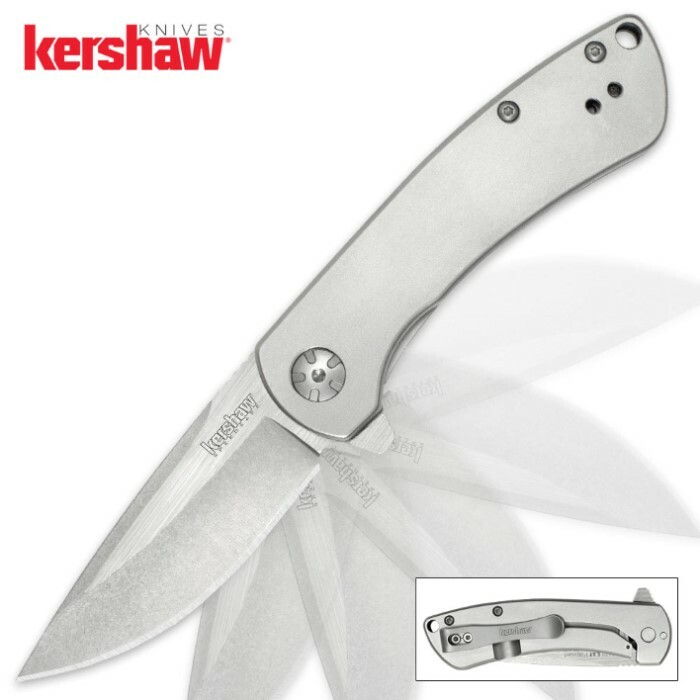 Kershaw Pico Assisted Opening Pocket Knife | BUDK.com - Knives & Swords At The Lowest Prices! Former United States Marine Les George has a practical approach to knife-making that has resulted in an assisted opening pocket knife that’s designed to be used in the real world of work and everyday tasks. Just looking at the Kershaw Pico, you can tell that it’s going to be a useful tool. Its 3” 8Cr13MoV steel blade, precision heat-treated by Kershaw, is strong, hard, and takes and holds an edge well. It opens quickly and easily with a flipper and SpeedSafe assisted opening. The handle is pure steel, bead-blasted to a matte finish. 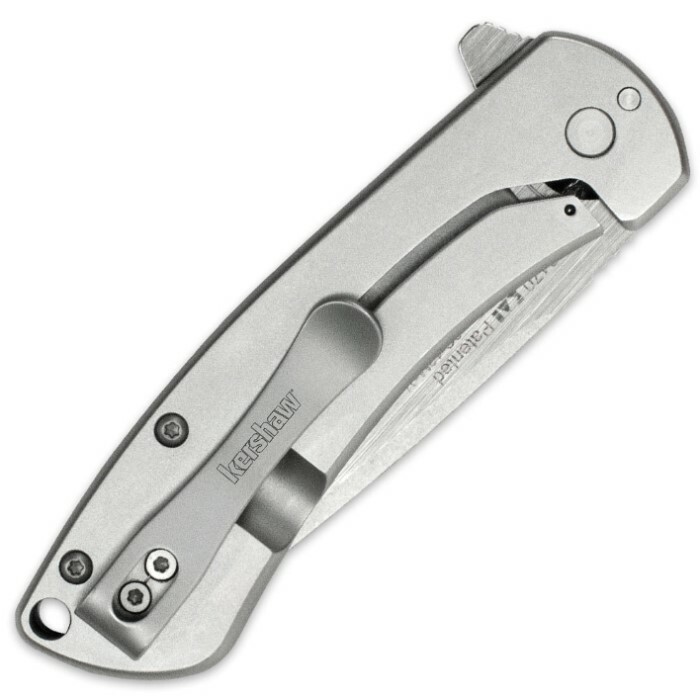 A frame lock ensures solid blade lock up during use and closes easily when you’re ready to return it to your pocket. While the Pico isn’t a fussy knife, it does have some touches that take it out of the ordinary. For instance, the blade features two different finishes: satin on the flats and stonewashed on the grinds. And the pivot is oversized and polished to stand out against the soft grey of the handle steel. A deep-carry, left/right reversible pocket-clip ensures carrying convenience.